Running a blog or website isn’t just about creating great content, it’s also about making it easy for your visitors to find and navigate that content. 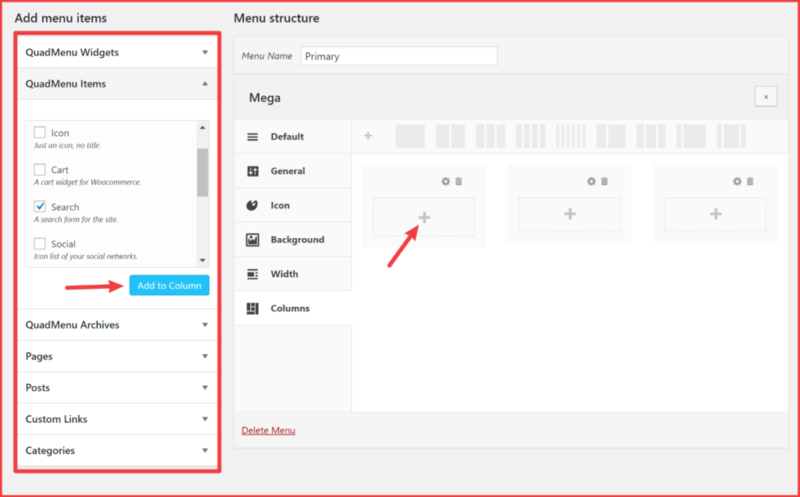 In my QuadMenu review, I’ll share a tool that helps you do that by giving you the ability to add mega menu functionality to your WordPress site (no matter which theme you’re using). I’ll start with a quick overview of what a mega menu is and whether or not you need one. 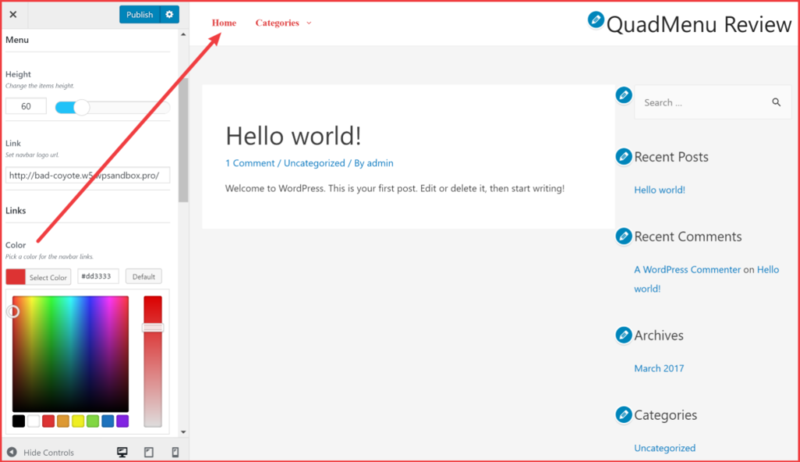 Then, I’ll tell you about QuadMenu’s features and show you how it works on a real WordPress site. 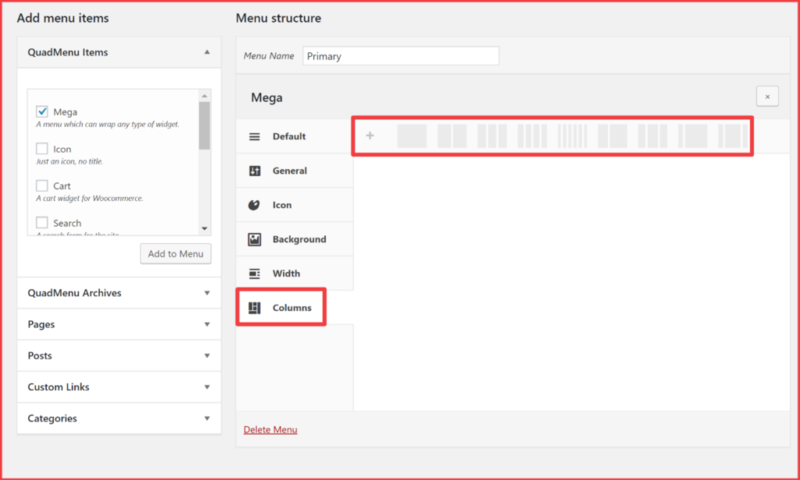 Does Your Blog Need A Mega Menu? So how does QuadMenu work? Mega menus give you a convenient, user-friendly way to display more information and give your visitors more navigation choices. Especially anyone using WooCommerce should definitely have such mega menus. If you’d like to see more examples of mega menus in action, check out all of QuadMenu’s demos. A mega menu is not a “must-have” feature for every single blog. For example, ShoutMeLoud does not use a mega menu as of now. However, mega menus can certainly be a useful feature for blogs (and other sites). 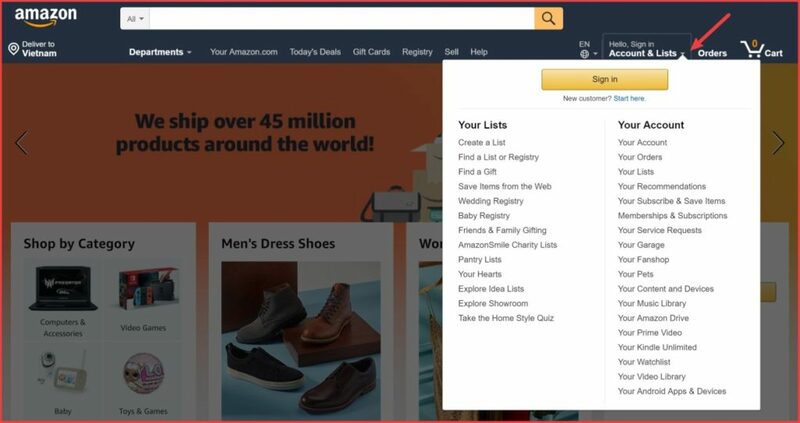 For example, you can use a mega menu to drive visitors to specific categories, showcase your latest posts, add a search form, etc. For that reason, you’ll find plenty of bloggers who do use mega menus, and it’s worth considering whether your website could benefit from mega menus. All in all, if you’d like to give your visitors more navigation options, a mega menu might be the right choice for your blog. 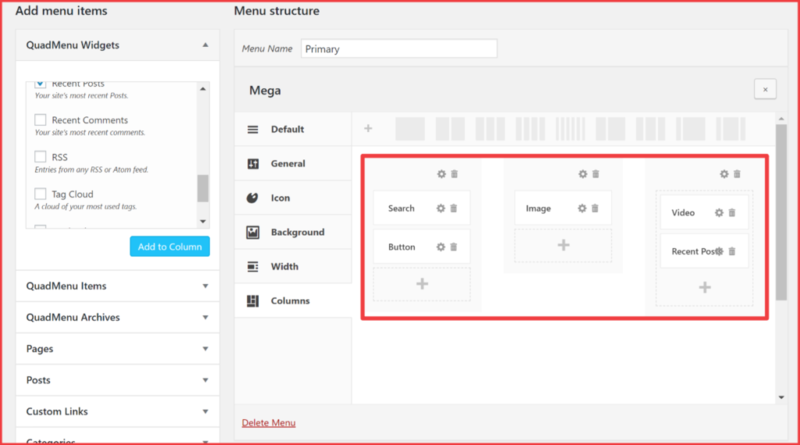 QuadMenu is a plugin that helps you add mega menu functionality to your WordPress site. If your current WordPress theme does not have built-in mega menu functionality, this is a great way to add mega menu support after-the-fact. But even if your theme does have a mega menu already, you still might want to use QuadMenu because it probably gives you more flexibility than your theme’s functionality. First off, it’s important to note that QuadMenu is responsive, which means it works no matter what device a visitor is using. This is essential because most web traffic happens on mobile devices now. 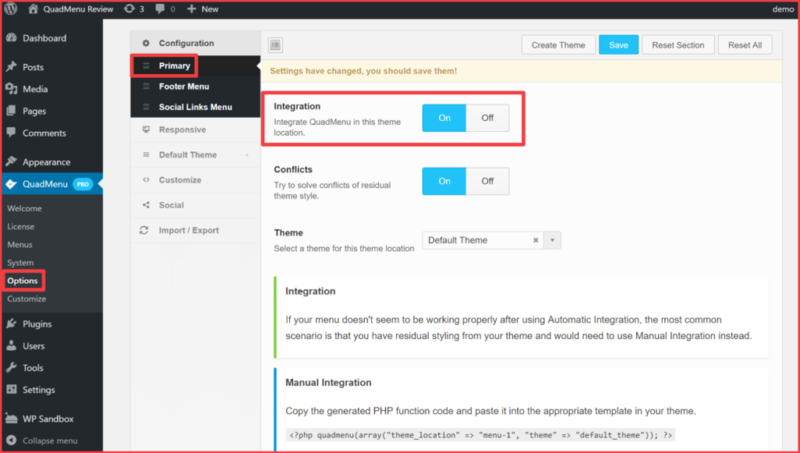 With the premium version of the plugin, you can also use the WordPress Customizer to change the style and color of your mega menu to make it match your theme. QuadMenu has a limited free version at WordPress.org that you can try. After that, the premium version starts at just $15, which is quite affordable. Note – for my QuadMenu review, I will be reviewing the premium version. Now that I’ve told you about QuadMenu, let me show you how it works on an actual WordPress site. When you first install and activate QuadMenu, you can go to QuadMenu → Options to configure the basics. Most of the time, QuadMenu can automatically integrate itself into your theme. However, in some situations, you might need to add the code yourself (as you can see above). The Options area also lets you customize how your mega menu looks, but I’ll come back to that after I show you how to build a mega menu. 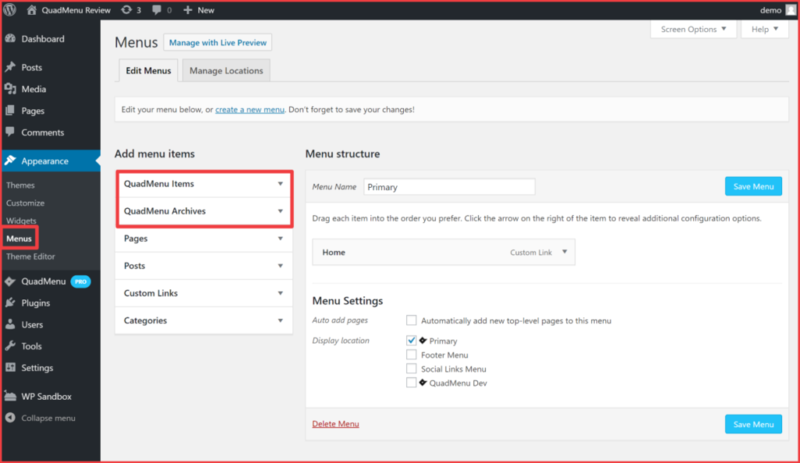 QuadMenu integrates itself into the native WordPress menus area (Appearance → Menus), which gives you a familiar way to create your menu. Then, you can click the plus + icon inside a column to add content. Once you do that, you can add any content from the left-hand side. 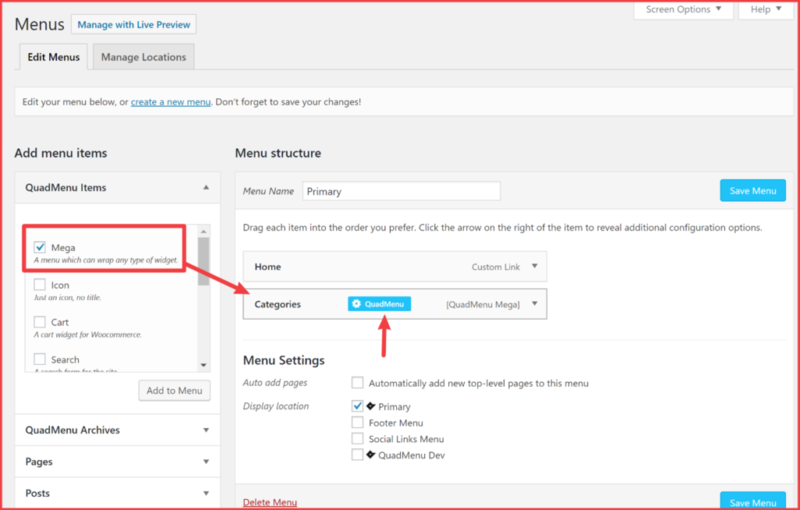 This section lets you add any WordPress widget to your menu. Once you add content, you can click on the gear icon to customize each individual piece of content. It functions properly, but the styling doesn’t match my theme. So if you’re using one of those themes or theme builders, you can install a free plugin to instantly make QuadMenu fit your theme. If your theme isn’t supported, or if you just want to further control things manually, you can then use the QuadMenu settings. With the Pro version of QuadMenu (the version that I’m reviewing), you can make these changes straight from the real-time WordPress Customizer. Layout – change triggers, add dividers, etc. Menu – choose basic style options, like colors. Dropdown – control colors for the drop-down itself. Typography – add text transform. Animations – change the animation for when the mega menu appears. If you’re using the free version, you can still edit all of these settings…you’ll just do it from your backend WordPress dashboard. This isn’t as convenient because you can’t preview the changes in real time. 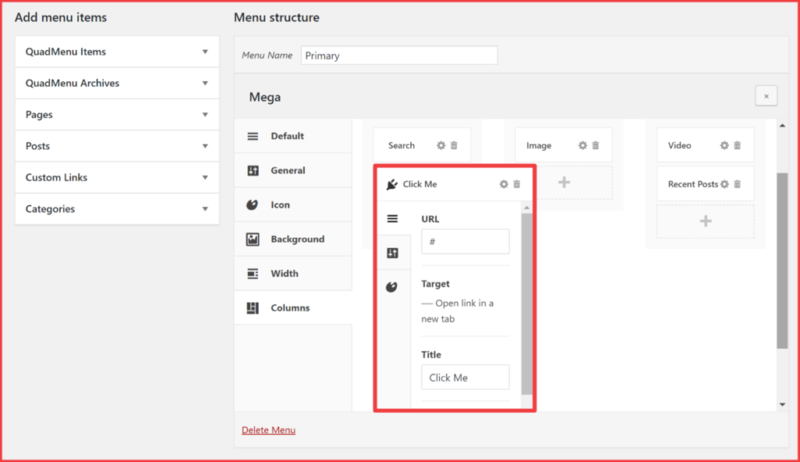 If you want to add mega menu functionality to WordPress, QuadMenu gives you a convenient, flexible way to do that. 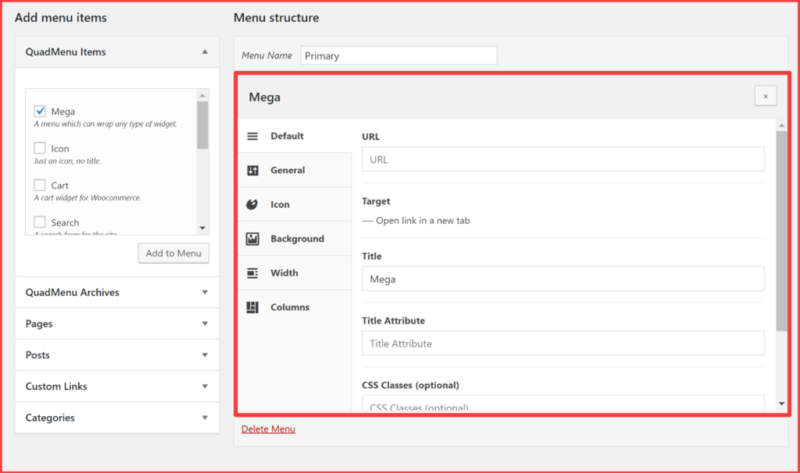 Creating your mega menu is easy thanks to the drag-and-drop builder, and you have lots of flexibility for what content you include in your mega menu thanks to the custom menu items and the ability to use all of the native WordPress widgets. If you’re using one of QuadMenu’s supported themes, it’s super easy to integrate QuadMenu’s looks into the design of your theme. If you’re not, you’ll need to tinker with the plugin’s settings to make it match your theme. This can take a little time, but that’s not QuadMenu’s fault because there’s just no reliable way to make QuadMenu match every single theme out of the box. You can click here to find the free version, or go to the QuadMenu website to purchase the premium version.